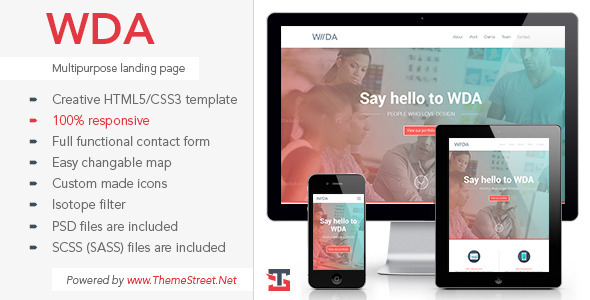 WDA template is creative, full responsive, high quality landing page. You can use it as your own personal or company portfolio. With this theme, you are getting complete source code: HTML5/CSS3 files and completely functional contact form, PSD files, SCSS (SASS) files.